So, you want to blast-off at the speed of light? Well, here’s a quick step-by-step guide to initiate your launch! 1. Once you have logged-in, you should see in your Launch Pad a list of all the projects that you are involved with, grouped by company. 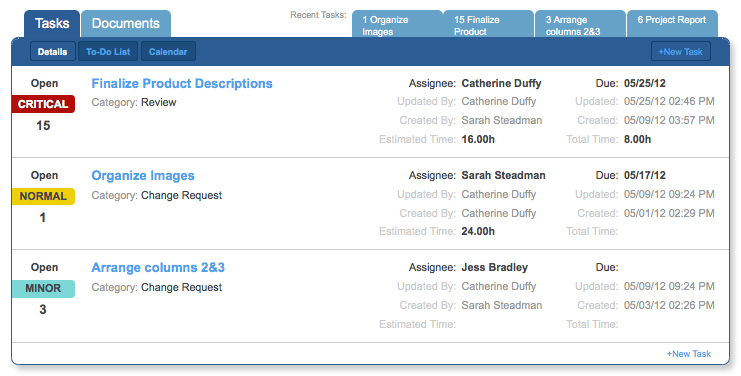 or view all the tasks assigned to you across all projects in the “My Tasks” tab. 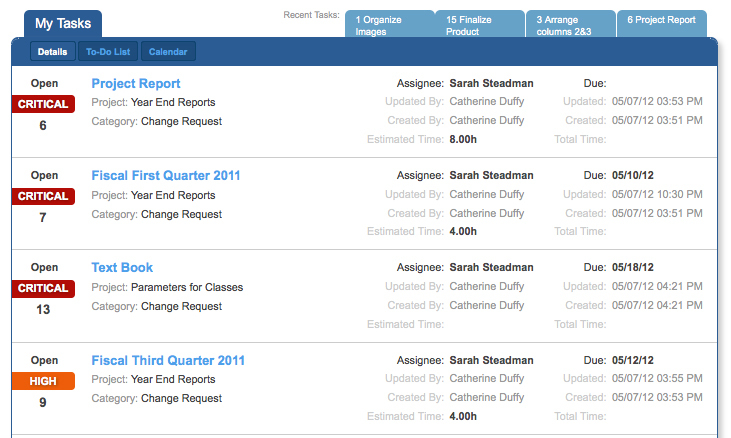 Click the project that you would like to view and create a task for. 3. To create a new task, click “+New Task” in the upper right side of the screen. Enter the task’s subject and description. 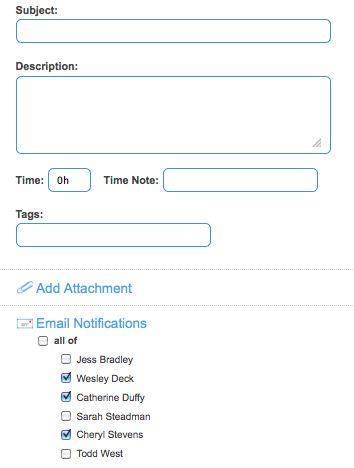 You can then add any time that has been spent on the task and any notes related to that time, a tag, an attachment, and select who you want to receive e-mail notifications. 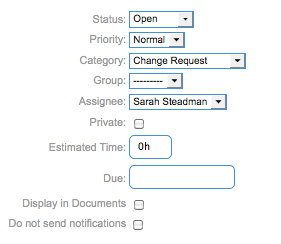 On the right side of the screen you will select the task’s priority, category, group, assignee, estimated time, due date, document display, and whether or not to send notifications. Hit the “Add Task” button. 4. 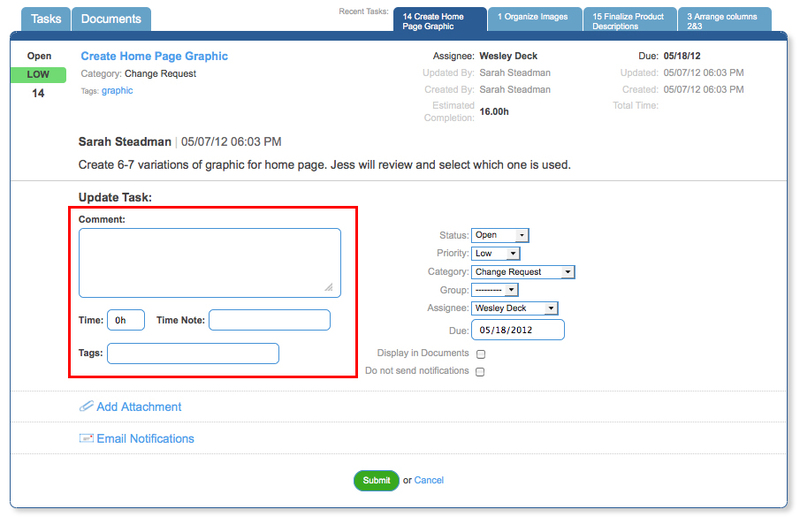 If you have a task assigned to you or you’d like to comment on a task, simply click on the task’s name and you are taken to the details view. Comment or update the task as necessary and then click Submit. 5. That’s it! Feel free to keep adding tasks and closing them out after the mission is complete!